Noble Wines was founded by George Noble and his wife Patricia in 2003. While they have made a vintage every single year since then, they did not release any of their earlier vintages until 2012. George has long preferred drinking wines that have been aged. With that said, he notes that “bad wines do not get good with age”! His winemaking philosophy is to craft wines that are food friendly, have good acidity and can age well. Noble Wines was in the unusual position of deciding to cellar their wines for a number of years before releasing them. Holding wines back presents some unique challenges, yet at the same time opportunities. 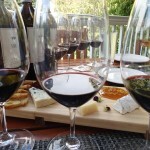 Retail outlets and wine shops are reluctant to purchase “older wines”, rather their focus is on newer current releases. However, a number of restaurants have welcomed the opportunity to purchase aged wines – fitting them into their own portfolios without having the need to age them. And of course a number of wine enthusiasts and collectors appreciate the opportunity to buy wines that have already been aged. 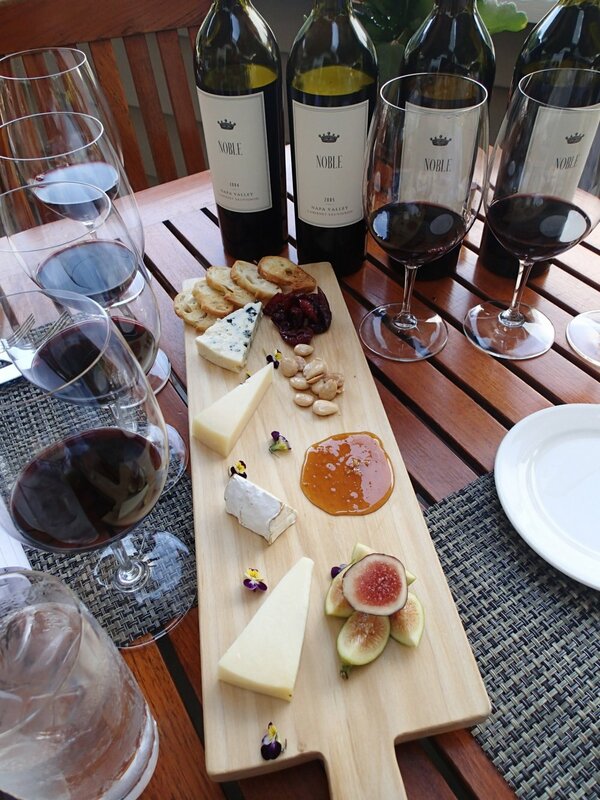 Noble wines are made from selecting premium vineyards in the Napa Valley. Their portfolio to date has been mostly from hillside vineyards ranging from Pritchard Hill to Atlas Peak to the Rutherford bench land. George and Patricia also own a hillside property east of the valley floor. George remembers when he was introduced to the nuances of aged wines. His mother in law purchased a case of 1977 Heitz’s Martha Vineyard Cabernet Sauvignon. He did not open bottles from this case until the mid 1980’s. Prior to this he had only enjoyed new wines; however once he tried some of the older Heitz’s Cabernet Sauvignon, at that point his interest in aged wines was piqued. After purchasing hillside property east of the valley floor – George planted two acres of Cabernet Sauvignon at 1500 feet in elevation. With premium vineyard sources already established he has used his home vineyard to bring additional complexities to the wine, rather than create an “estate” wine. George met his winemaker, David Lattin through nearby Kuleto Estate Winery. David makes the wines at Kuleto but also works with several small clients. He has been making the Noble wines since their first vintage. 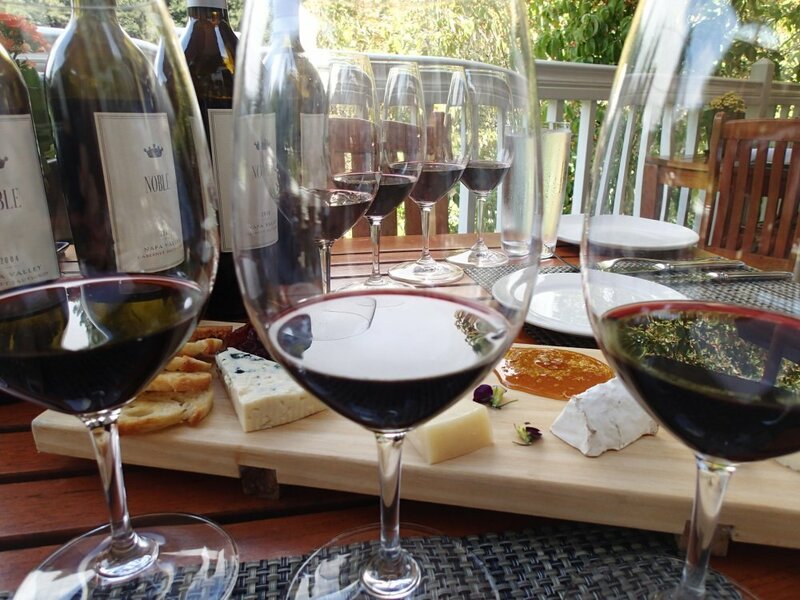 While the vineyard sources sometimes vary from vintage to vintage – each of the following wines is 95% Cabernet Sauvignon and 5% Petite Sirah. The Petite Sirah brings some additional color and structure to the wine. George and David try various percentages of Petite Sirah during their blending – and each year about 5% seems to “complete” the wines rather than more or less. 2004 – there is plenty of fruit still in the nose; this is a lively wine both on the bouquet and the palate – especially for being nearly 10 years old. Floral, perfume notes, hints of currant – darker fruit rather than red fruit show. This wine has well integrated tannins and a moderate clean finish. 2005 – shows darker fruit aromas – there is a sweet core of fruit on the nose, black currant and cassis with some spice. Slightly dusty nuances. There is good weight on the palate. The palate shows nice acidity. The finish is noticeably longer than the 2004 – it lingers for some time with decent structure. This is a good food wine. 2006 – The nose is a bit dusty and earthy with notes of cedar – as it breathes hints of mocha show . There is a sweet core of fruit to the bouquet. Darker fruit is present on the the palate including blackberry and black cherry. The finish shows dusty yet more delicate tannins (compared to the other vintages). 2007 – in the overall portfolio, this is still a relatively young wine. The bouquet needs to breath as it is somewhat tight initially; however with some time it opens up beautifully with elegance. On the bouquet – both red and black fruit aromas evolve along with a hint of cigar smoke. High toned fruit shows on the palate – red cherry, cranberry as well as a red licorice component. The finish is well structured. With good structure, fruit and acidity this vintage should age well for a long time. There are a number of ways to visit the Napa Valley. One can spend a day visiting as many “walk in” wineries as possible. One can also make appointments, often meeting the vintner or owner at their winery, sometimes even in the privacy of their own home – or much more rare – sit down for a private lunch with them. 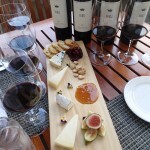 George has recently introduced what is still a fairly unique program in the Napa Valley, a private vintner food and wine experience. 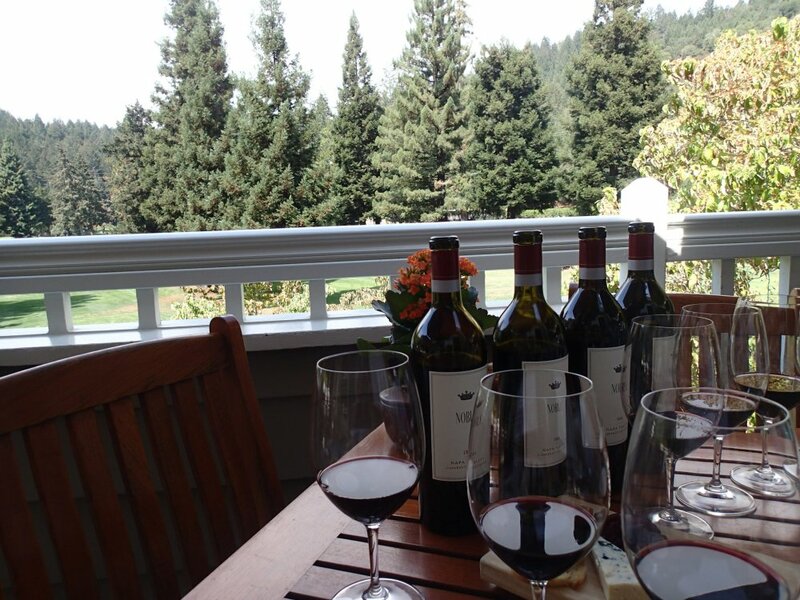 Over lunch at one of Napa’s most elegant locales, Meadowood (at the Grill Restaurant) – George tastes guests through a vertical of four of his vintages. This is a unique opportunity to sit down with a vineyard owner and vintner and receive an “insiders” perspective on the Napa Wine industry. George is passionate about his own wine and philosophy of winemaking. He is happy to share this with guests. Meadowood, site of the annual Napa Valley auction has been an integral part of the Napa Valley luxury lodging and wine community for many years. Originally opened as a country club in 1964, it is now a 250 acre luxury resort and spa. Nestled in the hills, you are mere minutes from the Silverado Trail and the hustle and bustle of St. Helena and the valley floor, however it feels worlds away. 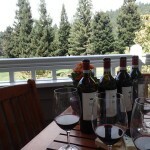 The resort is elegant luxury melded with the best of the natural Napa Valley hillside environment. There are very few restaurants located in the hillsides of the Napa Valley, Meadowood is one of them. 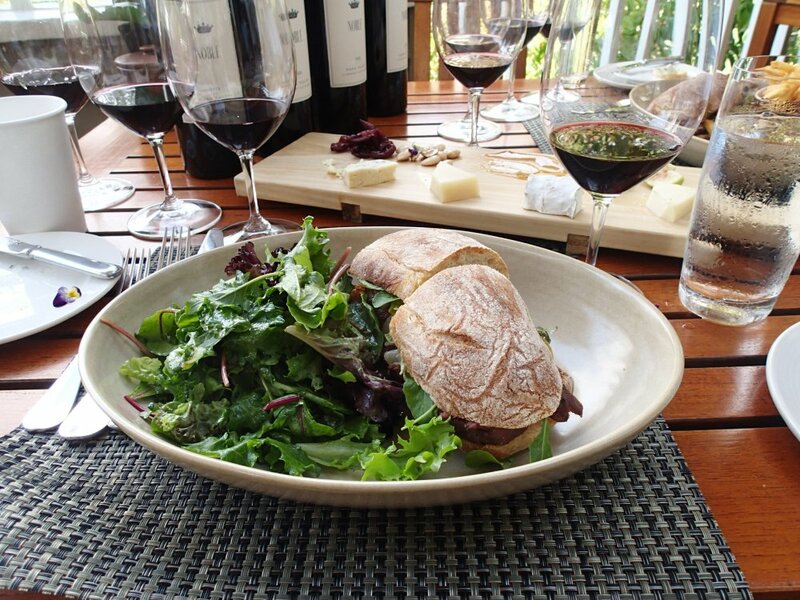 Dining here is an intimate experience – weather permitting, you can enjoy your lunch with George on the deck – overlooking part of their golf course and the natural beauty of the surrounding hills. 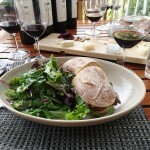 The menu at the Grill is seasonal and creative and features fresh ingredients from Meadowood’s own garden. During a recent lunch, the charcuterie plate featured a set of delicious cheeses, honey and several other locally sourced products. Incidentally, the adjoining Restaurant at Meadowood is one of only two restaurants in the Napa Valley to receive the coveted three star rating from Michelin (the other being the French Laundry).